Charles W. Courtney, Jr., Family Law Attorney Belleville IL | Courtney ∙ Clark Law, P.C. Home » Attorneys » Charles W. Courtney, Jr.
Attorney Charles W. Courtney, Jr.
Charles Courtney, Jr., was born on May 20, 1961 in Belleville, Illinois. Mr. Courtney attended grade school at St. Stephen's Catholic Grade School in Caseyville, Illinois. He graduated from Belleville East High School in 1979. Mr. Courtney received his Bachelor of Science Degree with High Honors from Southern Illinois University at Edwardsville with a double major in government and economics, graduating in 1983. He then attended Washington University in St. Louis, Missouri where he received his Juris Doctor Degree in 1986. Mr. Courtney was an Associate Editor of the Journal of Urban and Contemporary Law. The primary focus of Mr. Courtney's practice since 1986 has been in the area of domestic relations law. He has handled thousands of family law cases including, but not limited to, divorce litigation, child custody, parenting issues, paternity, maintenance/alimony, property division and all other areas of the law related to the practice of family law. Mr. Courtney has extensive experience in the Appellate Court representing clients on appeal from numerous issues related to the practice of family law. 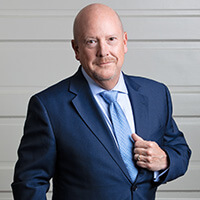 Mr. Courtney has extensive trial experience in both jury and non-jury cases including numerous appeals before The United States Court of Appeals for the Seventh Circuit. Mr. Courtney's primary areas of practice throughout his career have included criminal law, personal injury law, municipal law, and insurance defense. The primary focus of Mr. Courtney's practice since 1995 has been in the area of domestic relations law. He has tried multiple family law cases in St. Clair, Monroe, Madison, Clinton and Randolph Counties. Mr. Courtney resides in Maryville, Illinois with his wife, Vickie. Mr. Courtney is admitted to practice in the State of Illinois, the United States District Courts for the Southern and Central Districts of Illinois as well as the Southern District of Indiana and the Eastern District of Missouri. Mr. Courtney is a member of the St. Clair County, Illinois State and American Bar Associations.